Stephen (of Greenflame) sent me the URL of an article by Terry Veling of the ACU School of Theology: “A Reflection on Karen Refugee Students on the Thai-Burma Border” it is an account of teaching Karen refugees a practical theology paper by distance learning, with a tutor who visited for three weeks. ACU are apparently offering courses by distance in the camps. The article was not only interesting for its insights into the plight of the Karen in and outside Burma, but also in modelling a different approach from that taken by the Kaw Thoo Lei Karen Baptist Bible School and College. the teaching provided by the Karen leaders of the college is supplemented (as I currently understand it) mainly by Nagas from NE India. 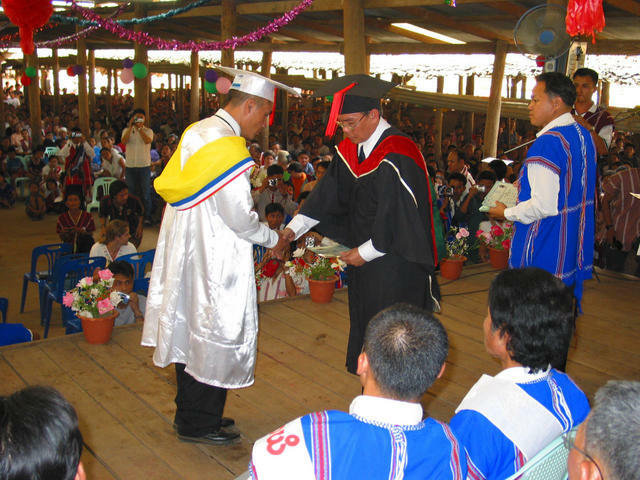 Since the Naga people have culture and history that is more similar to the Karen this is likely to lead to a more contextually appropriate theology, but it probably therefore lacks some of the rigour of Western education and gives a qualification that will not be as recognised if the student is resettled to a Western country. Clearly there are advantages to both approaches. It will be interesting to compare them more when we have been to KKBBSC and also to reflect if there are ways we can assist Saw Simon and the others to achieve the best results without betraying their huge achievements! In the expectation that we’ll meet interesting people, and see strange sights, while we are away, and in the hopes of sharing some of the experiences with you we will be taking a Canon TX1 with us. 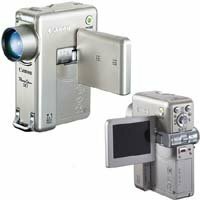 It’s a nifty little gadget, fits in my shirt pocket, takes still or video images, with a good (10x optical) zoom. It will record video in either normal or HQ mode, and we hope to be able to upload some (compressed with Flash) while we are away and more (maybe better quality) when we get back. As a test of what’s possible, here is a pretty good version of a short clip I took out of the study window (just handheld, so jerky, sorry). So, we are getting there. It feels a bit like being missionaries again, preparing to go to places very different from home. So far despite our rather disorganised and last minute approach God has been gracious and no major problems. Sri Lanka: the year of war? With some 5,000 people killed in the last two years, the ceasefire was nothing more than a piece of paper. Now there are fears that a full-fledged conflict is on the cards. There have been asassinations and at least one bomb in Colombo not far from CTS. If you are following our journey, please pray for peace in this beautiful country which has known conflict for so long. Since I started back after New Year I’ve been finishing off the reader for the students, I posted the CD yesterday, and making interactive notes on the textbook for the introductory sessions to get students started thinking on narrative lines. However, the closer we get to departing the more the troubled political situation (the long-running war between the Tamil Tigers and the government) is a concern, first there was a bomb quite close to the college, now more recently an official reopening of hostilities. We’d be glad of your prayers for the places we’ll be teaching, both are troubled and in need of lasting and just peace.